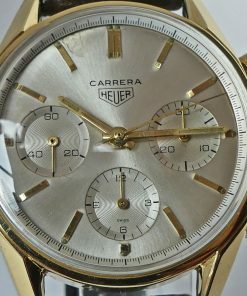 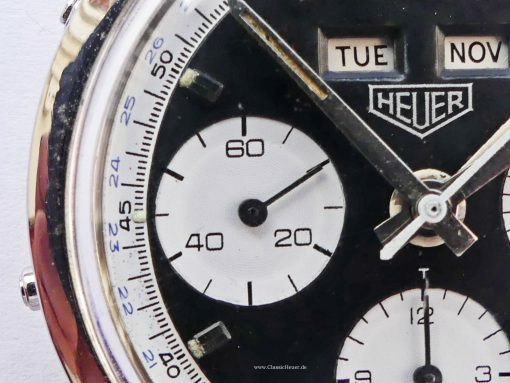 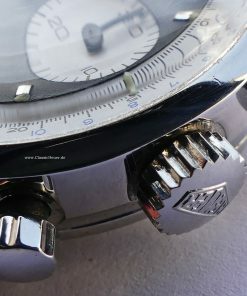 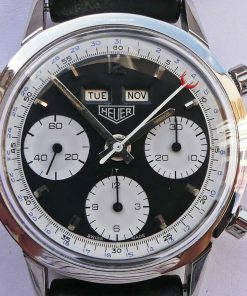 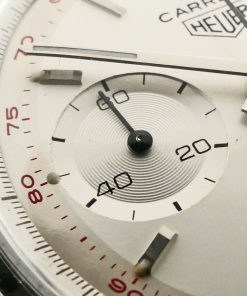 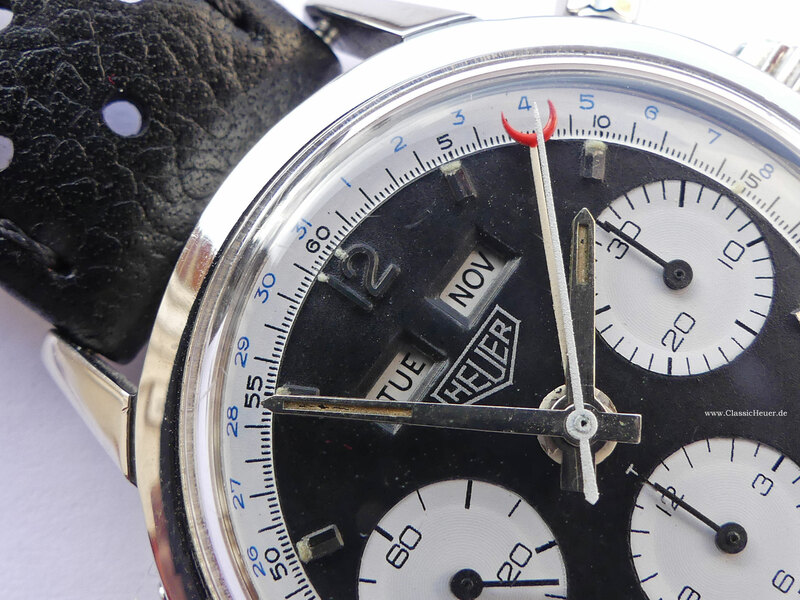 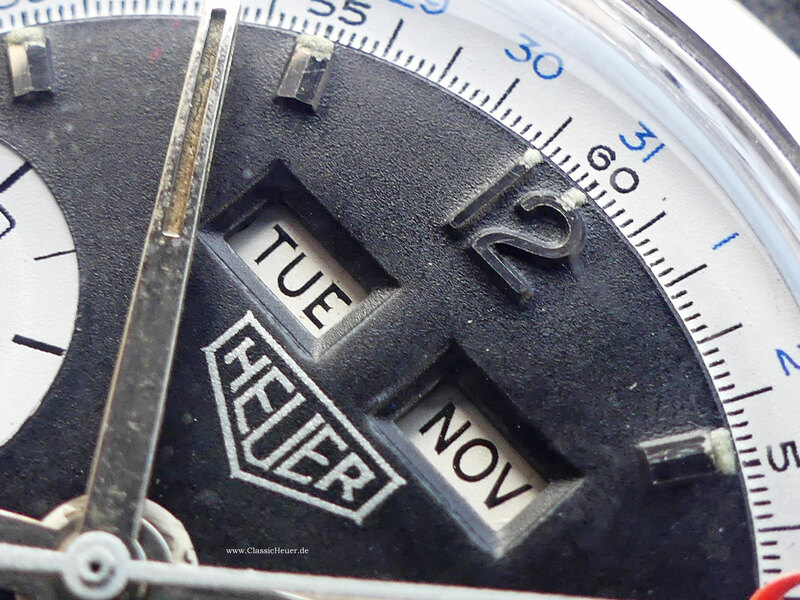 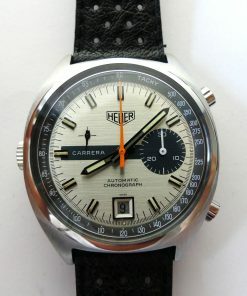 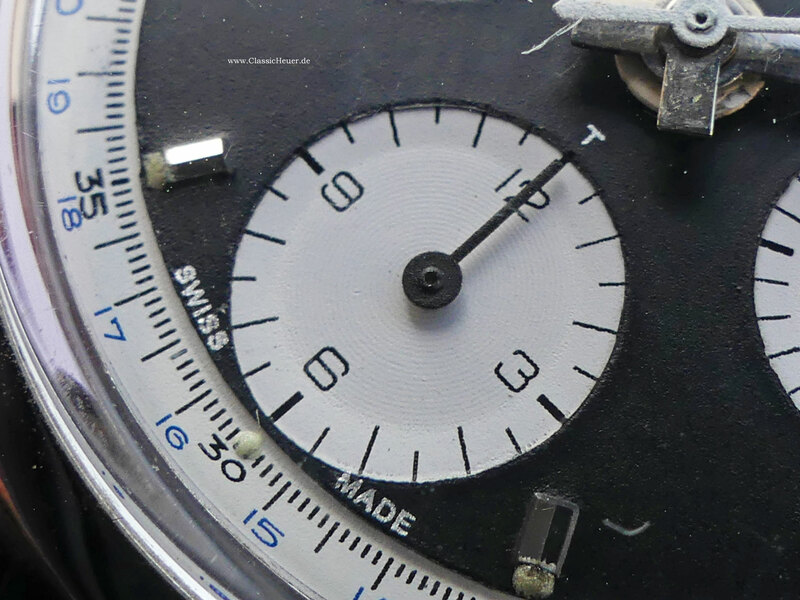 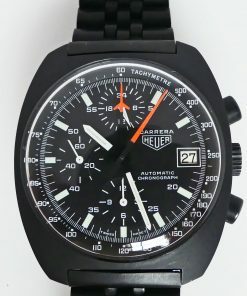 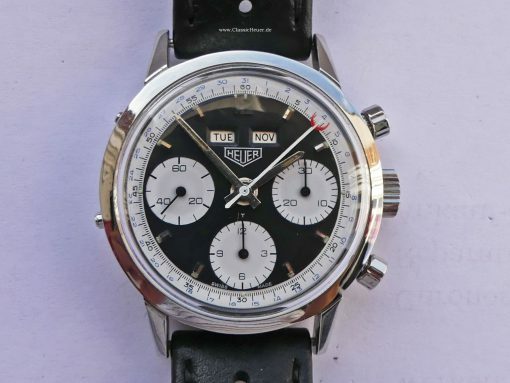 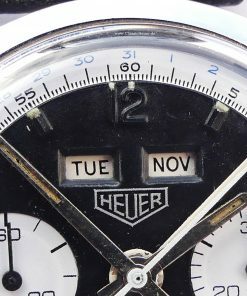 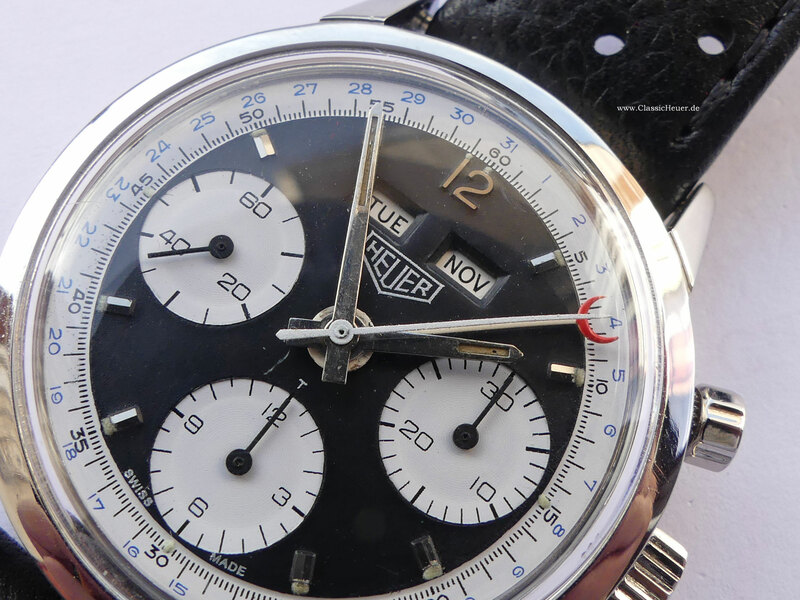 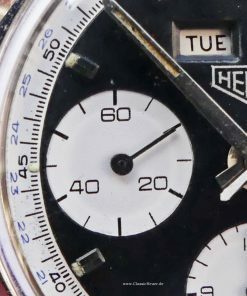 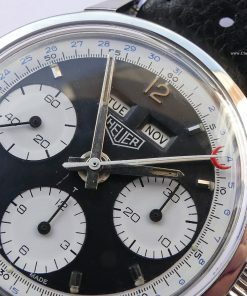 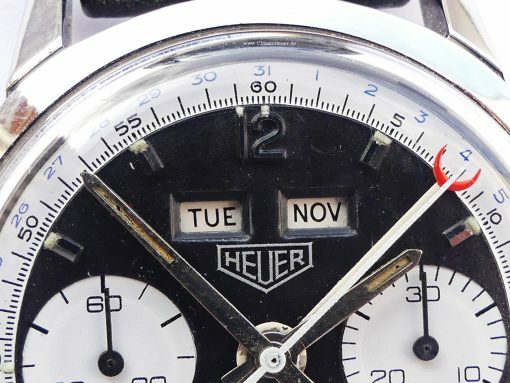 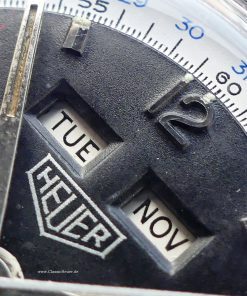 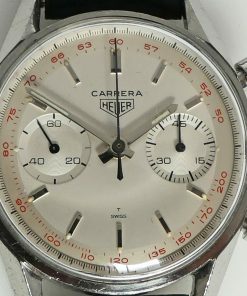 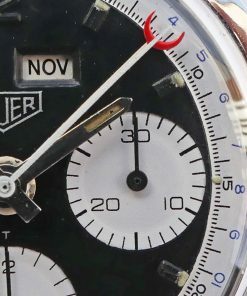 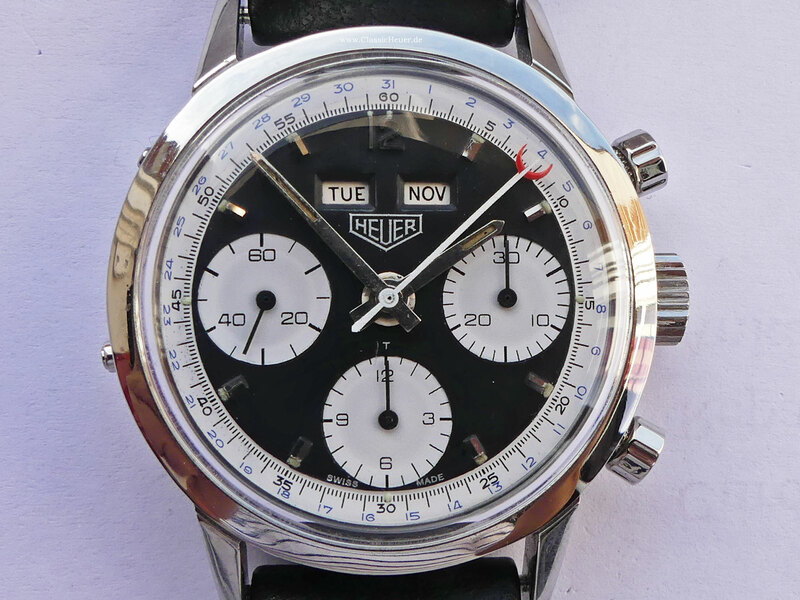 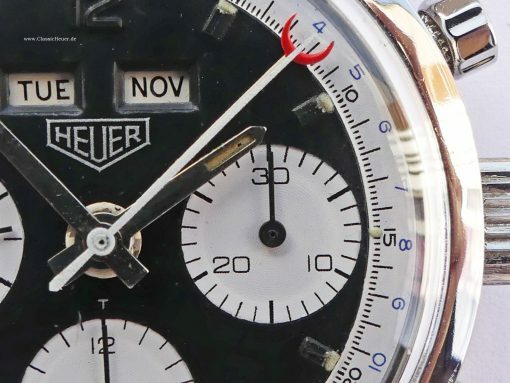 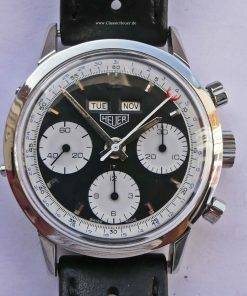 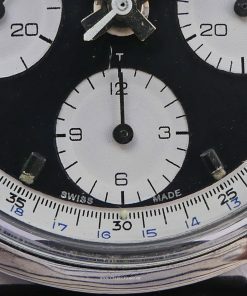 Beautiful and absolutely RARE: Heuer Carrera Dato 12 Panda Dial Calendarium chrono. 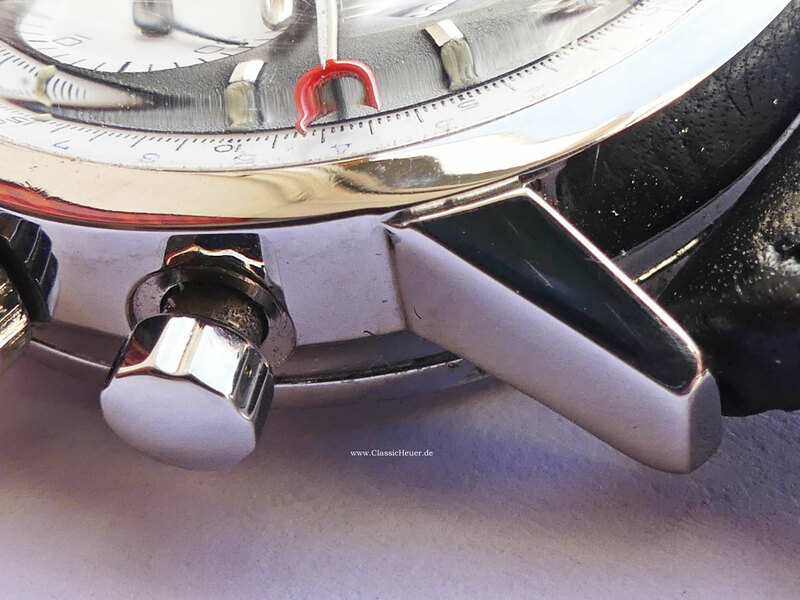 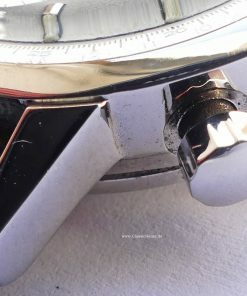 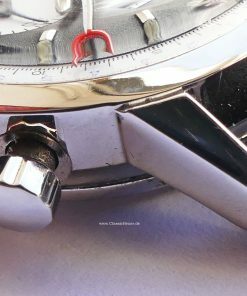 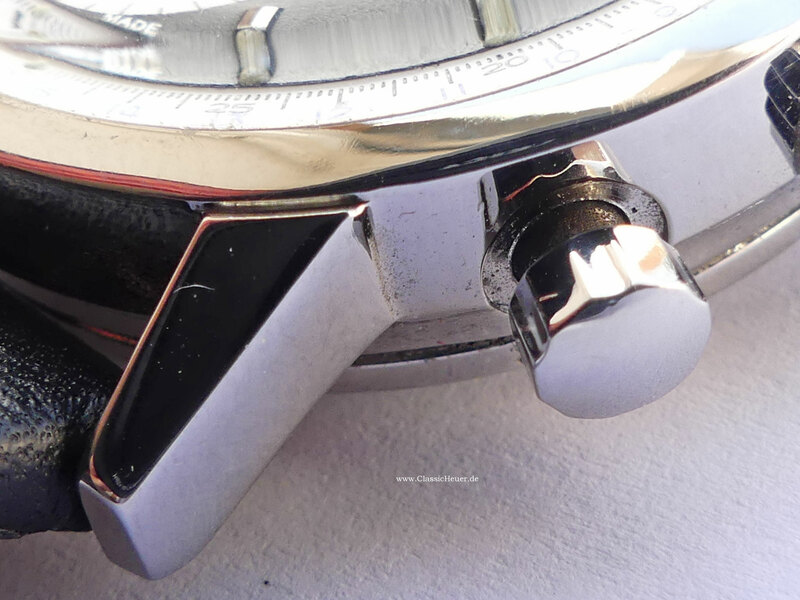 The watch with manual winding movement Valjoux 723 has got the reference 2547N. 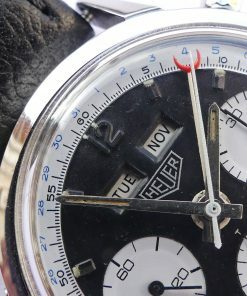 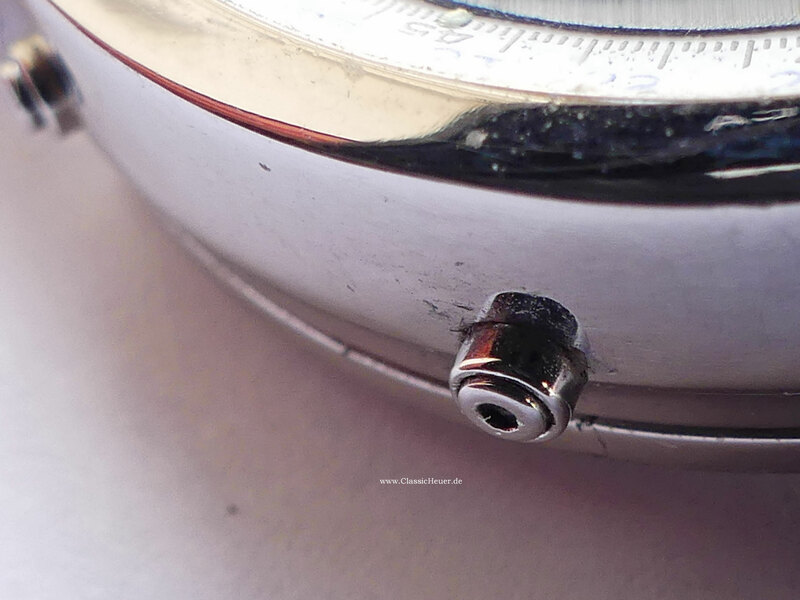 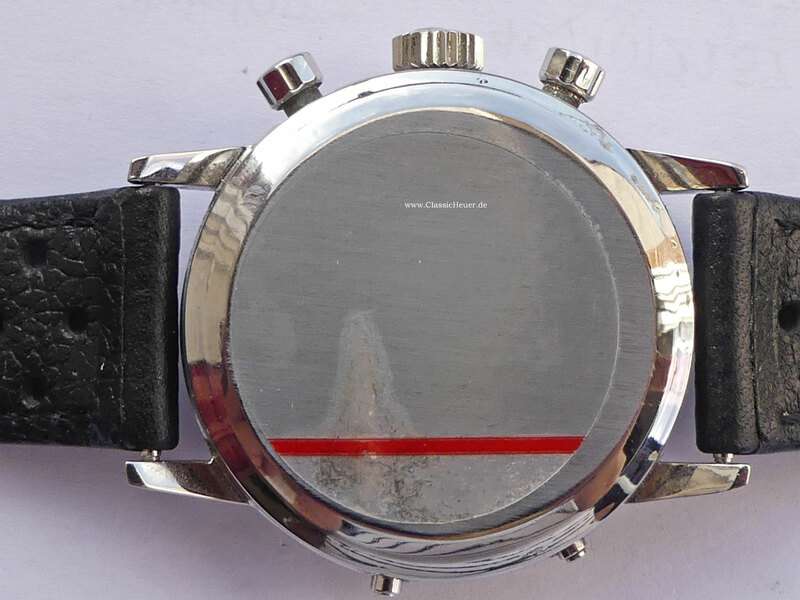 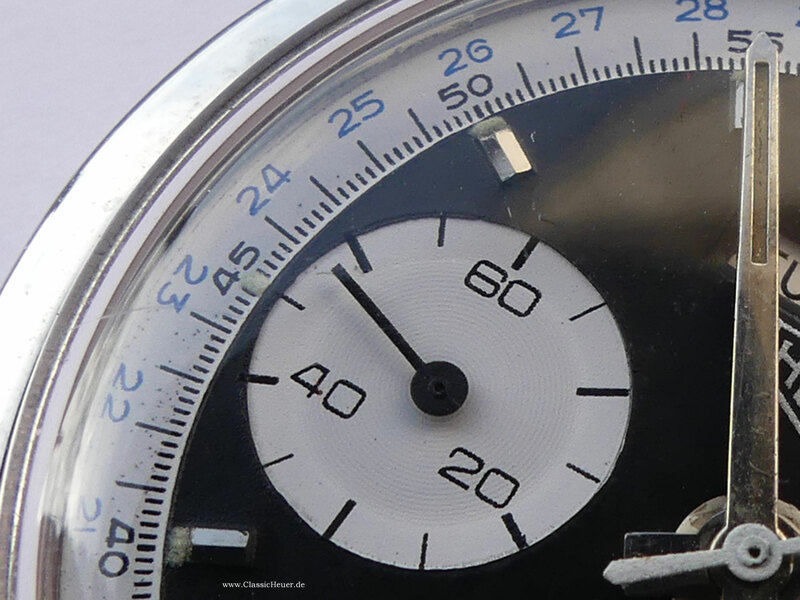 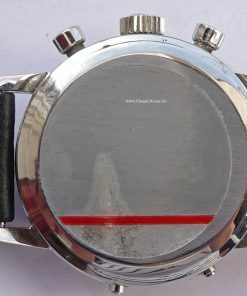 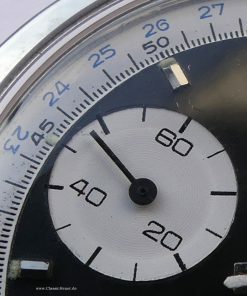 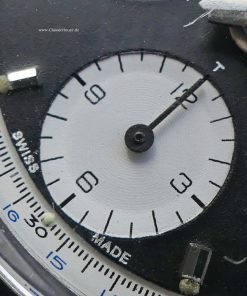 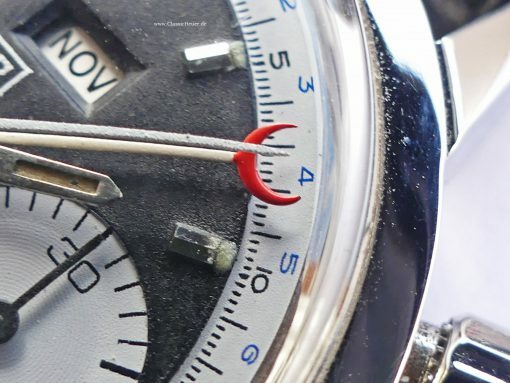 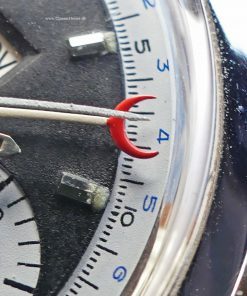 The watch from end of the 1960ties is in used but good condition. 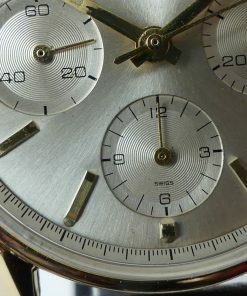 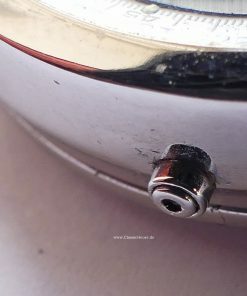 Authentic and slightly polished case ! 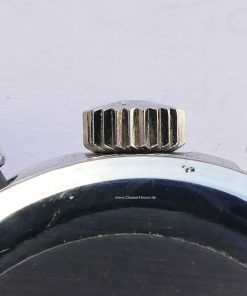 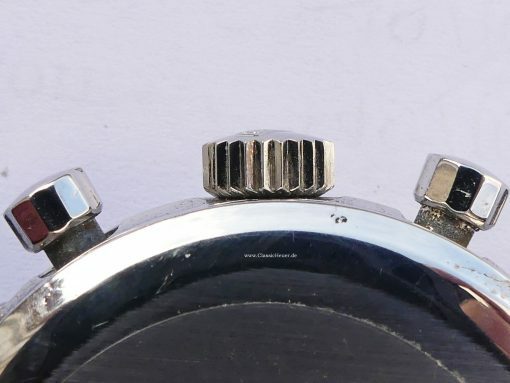 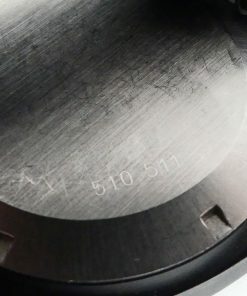 English date disc with day, date and month indicator. 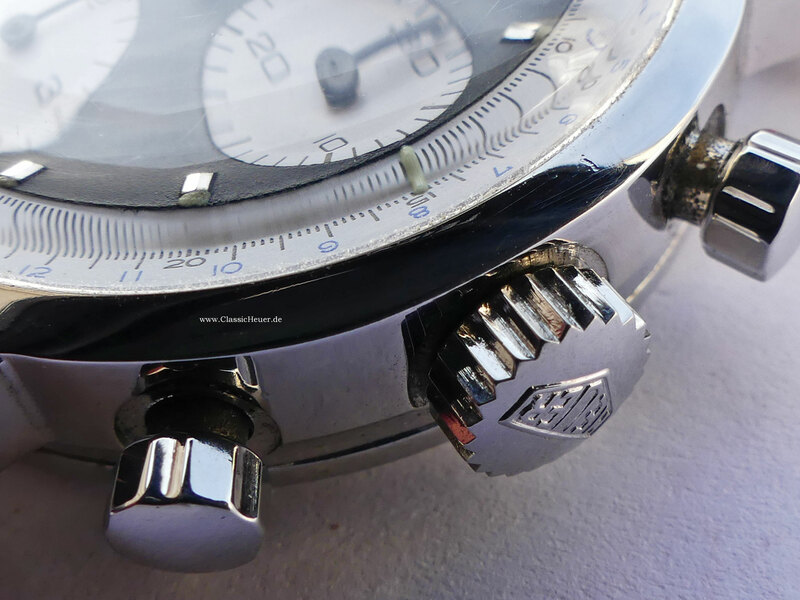 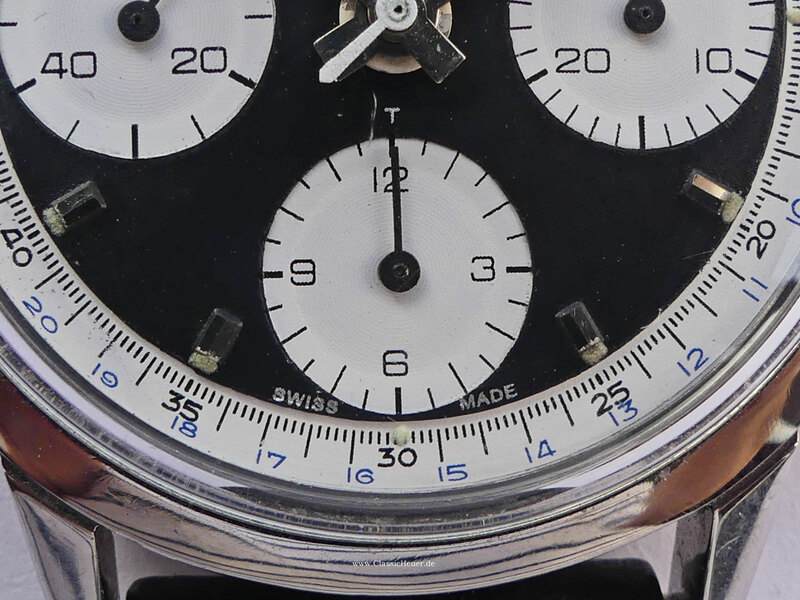 Very popular collector version with “Panda Dial” – white subdials on black dial. Black leather strap with original Heuer buckle.